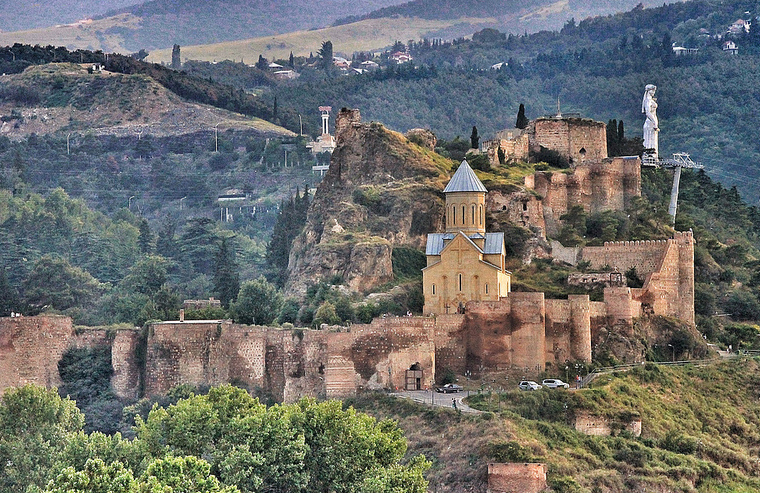 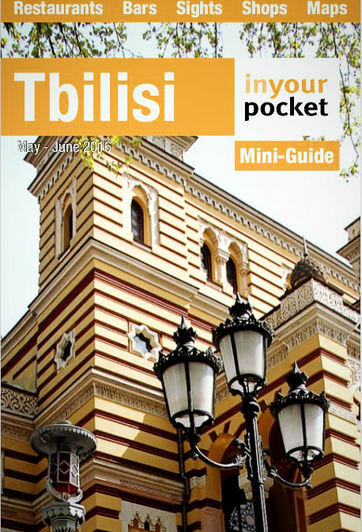 Also called the Mother Fortress of Tbilisi, Narikala is an ancient symbol of Tbilisi’s defence. 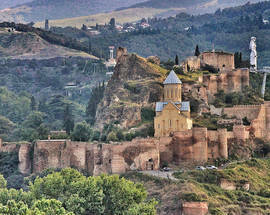 The fortress was established in the 4th century, around the period when the city itself was founded. It was then known as Shuris-tsikhe (Invidious Fort). 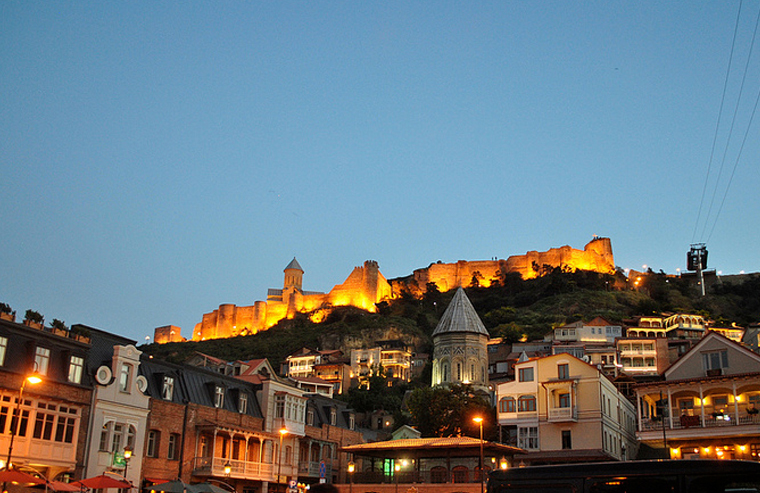 The name Narikala is said to derive from a Persian word for citadel, but another theory says was the name that Mongols used, meaning “little fortress”. 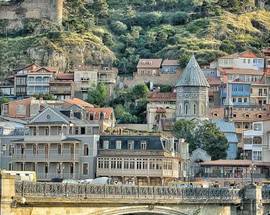 It was expanded considerably by the Arabs during the 7th and 8th centuries. 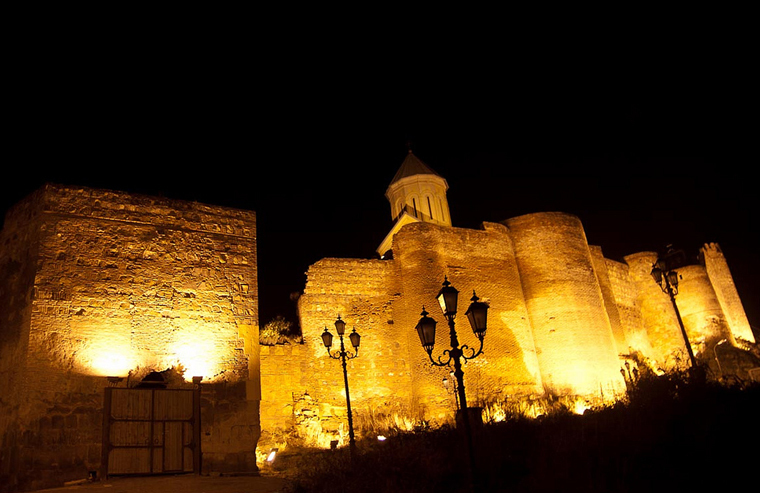 The Arabs built the Emir’s palace within its walls. 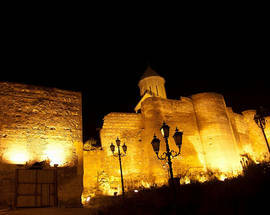 King David further extended the Builder the fortress in th 11th century. 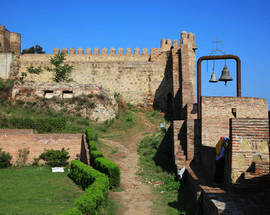 Most of the existing fortifications date from the 16th and 17th centuries. 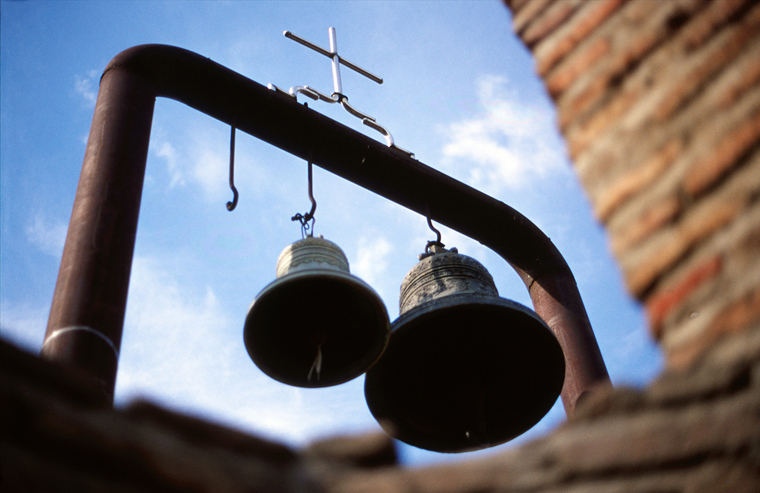 In 1827 it was damaged by an earthquake and was not resorted. 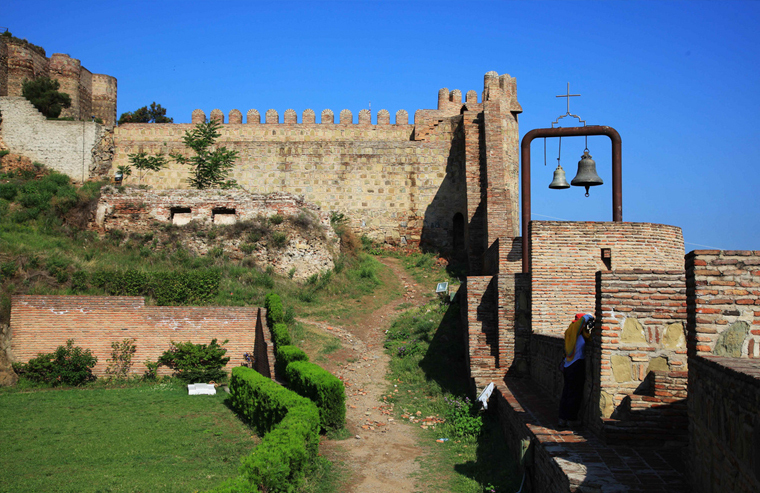 St. Nikolos church, inside the fortress walls, dates from the 12th century. 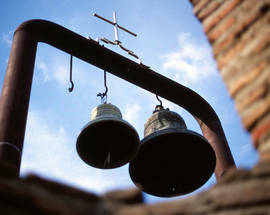 It was renovated in 1996. 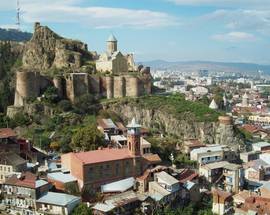 Narikala offers you some of the best panoramas of the city. 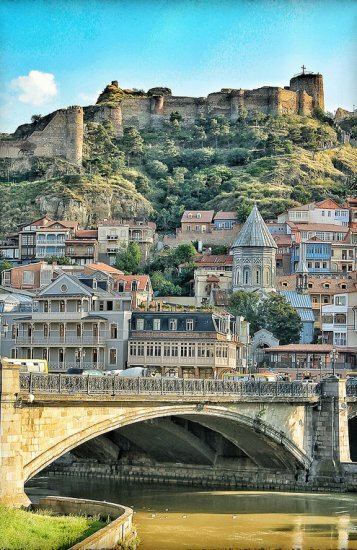 We’d also advise you to take a walk along the Narikala Tourist route, a 1500 metre trail that runs from the top of the ridge near the Mother Georgia statue, around the fortress and down into Old Town to near the entrance to the Botanical Gardens. 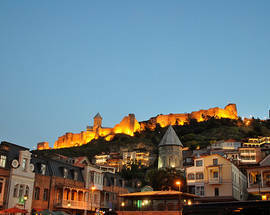 It offers stunning views at every turn and is a particular delight at night when the city lights shine below.